Thank you to the many individuals and organizations who support our efforts to pursue the most compelling questions facing science and society today! Provides funds to sponsor a 3-month Young Scientists Summer Program scholarship for a promising young researcher, very often from a developing country. Provides funds to sponsor a 2-year Postdoctoral Fellowship at IIASA for one promising researcher for 10 successive years. Unrestricted donations to support IIASA's mission allowing us the freedom to embark on innovative research projects outside IIASA's budget. Preserves the legacy of the first IIASA director and brings distinguished decision scientists to IIASA to work on the global problems addressed by the institute’s research programs. 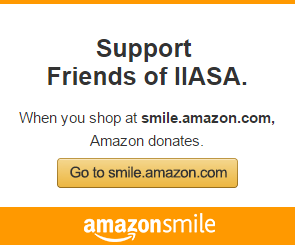 Provides financial support to IIASA women connected to science at all career levels.